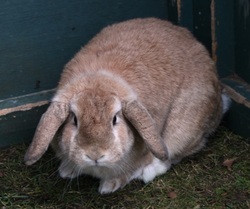 Archie is a male lop-eared bunny who we think is about 3 years old. 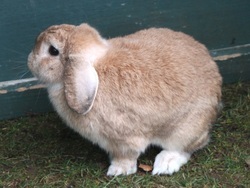 He is a little bit shy but, he can be handled easily when he has been picked up. Archie in November last year. loving home. 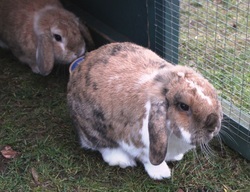 We would like to re-home Archie and Grace as a pair.